Jeffrey C. Toubin, MD, FACS, is a board-certified urologist practicing in Dallas with Texas Urology Specialists. Dr. Toubin has been designated as a UroLift® Center of Excellence Physician recognizing his exemplary care and his extensive training and experience with the UroLift® System, technology that includes permanent implants for men suffering from benign prostatic hyperplasia or “BPH.” He is the first in North Texas to help more than 300 patients with this successful treatment for BPH. “The UroLift® System is a breakthrough minimally invasive treatment that typically takes less than an hour and can offer multiple benefits for men with prostate enlargement. “I am proud to offer our patients this durable and effective treatment." Dr. Toubin’s clinical focus also includes genitourinary cancer, endourology, benign prostatic hypertrophy (BPH), urinary incontinence, urinary stone disease and erectile dysfunction. Toubin has become the first physician in Dallas-Fort Worth — and the third in Texas — to be classified as a Center of Excellence in using UroLift. A physician with Methodist Dallas Medical Center has become the first in North Texas to help more than 150 patients with a breakthrough treatment for benign prostatic hyperplasia, or BPH. 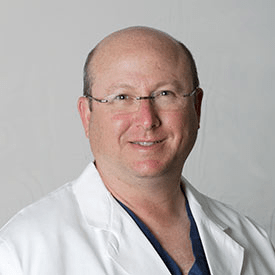 Dr. Jeffrey Toubin, a urologist on the hospital’s staff, was named a “Center of Excellence [Physician]” - denoting a focused area of comprehensive expertise - for performing more UroLift® System procedures on men with BPH than any other doctor in Dallas-Fort Worth. The UroLift® System is a minimally invasive procedure to treat BPH, a condition that occurs when the prostate gland surrounding the male urethra becomes enlarged with advancing age and starts to obstruct the urinary system. Although medication is often the first-line therapy for enlarged prostate, relief can be inadequate and temporary and trigger a number of side effects, causing patients to stop taking the drugs. For these men, surgery that cuts, heats, or removes prostate tissue that’s blocking the urethra is often the first alternative. While surgery can be effective, it also can leave patients with permanent side effects that the UroLift® System does not. In general, the UroLift® procedure involves the introduction of tiny implants that hold the prostate lobes apart to relieve compression on the urethra. "The UroLift® System is a breakthrough treatment that typically takes less than an hour and can offer multiple benefits for men with enlarged prostate … ” Toubin said in a news release.